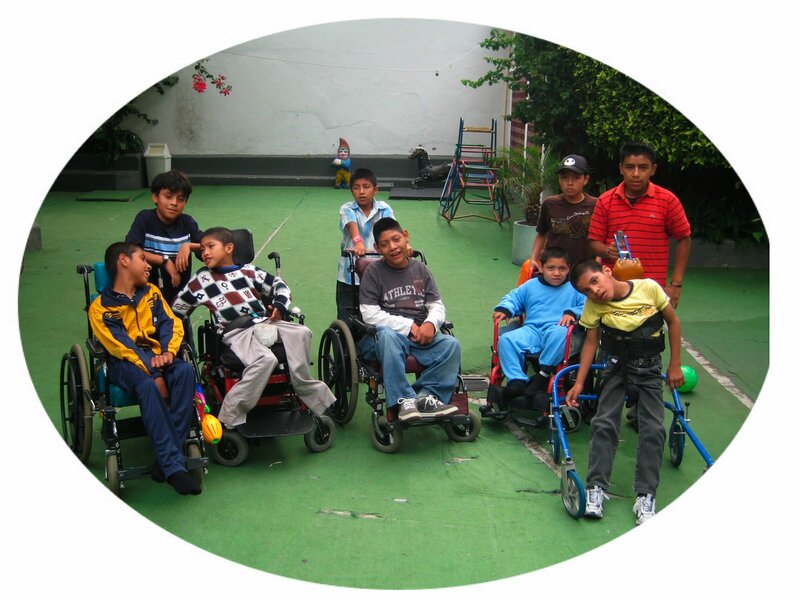 Today was graduation day for the 7 kids that we school at Hermano Pedro. Nanette, their teacher has a graduation ceremony at the end of each school year giving recognition to the kids for having been promoted another grade in School. The Audience was small but supportive. It consisted of Chris, Donna, Sonia’s mother and brother, one volunteer from Hermano Pedro, Calin, and myself. Booth teacher, students, audience, were beaming with delight at how much had been accomplished by the students this year. Along with advancing a grade level many of them accomplished other things as well. Byron who was basically nonverbal at the beginning of the school year is starting to express himself more and more. He is also learning to read. 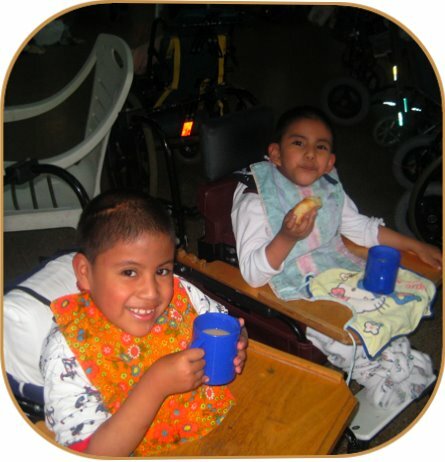 Moises loves school and is also serving as Interpreter for Minor who started school only knowing his Mayan Language. Minor is picking up Spanish so fast that he won’t need and interpreter much longer. 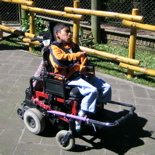 Roberto is perhaps the slowest to learn but loves his teacher and enjoys going to school. Sonia is doing awesome and we are still praying that we can get her into one of the private schools in Antigua. There are still a few people who do not think that she should attend a so called normal school. “After all she is in a wheelchair.” It is my opinion that there must be some kind of mental problem. Not a mental problem with Sonia, but with anyone who feels that she should not attend a regular school. 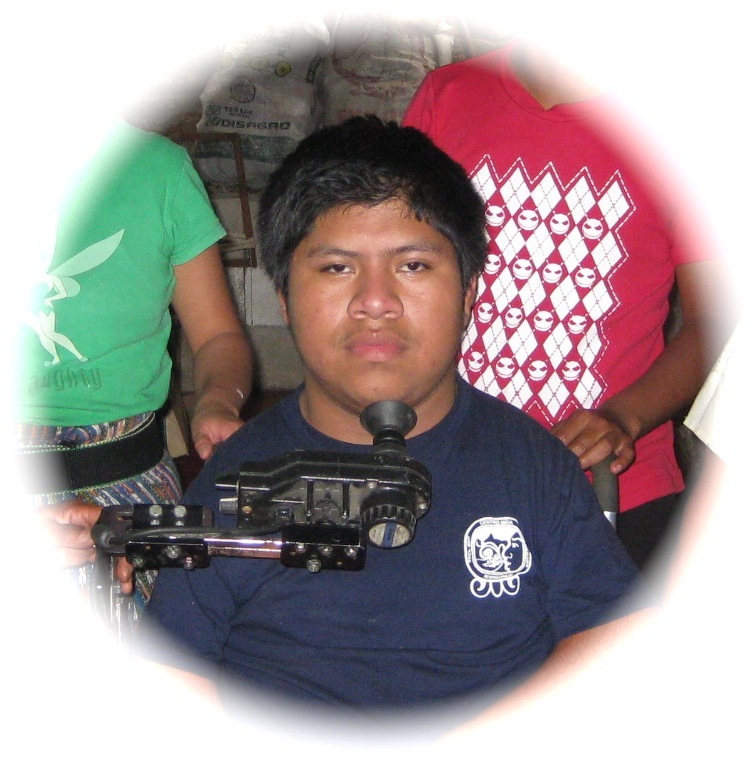 Carlos continues to do well in school but the muscular dystrophy is weakening his body. Fidel did so well in school this year that Nanette is considering putting him through 2 grades of school next year. Since both he and Carlos will be staying at Hermano Pedro during Christmas break Nanette will continue to come in and teach the 2 of them. After The graduation program Calin and I went and got some lunch. We had intended on taking Thomasina and her brother Manwell out for lunch today but it was a bit colder than usual today so we could not take them out of the malnutrition ward. After lunch I looked in on Jennifer. She is doing a lot better since we built her the bed that keeps her on her side. Gregory is a boy that was admitted to the teen section a few months ago. He has been sitting in a canvas back wheelchair but they had to tie him in with bed sheets to keep him from falling out. Each of the Therapists that were here Friday and Saturday had brought a specialty wheelchair with them on the plane. This afternoon was spent in getting one of them adjusted for Gregory. He carefully watched my every move as I adjusted things on the wheelchair. I enjoyed visiting with him and didn’t mind that he watched me but I must admit it did bother me a bit when he kept removing one of his eyes from its socket. I have seen people do that with glass eyes but never with real ones. Anyway after finishing up on Gregory‘s wheelchair and convincing him to put his eye back into the socket we headed for home. Spaghetti night seems to be a favorate around my house. Tonight I simply added ground hamburger. For some reason meat balls or anything else that resembled an eye ball did not sound appetizing. No complaints from the kids though. I only counted 10 of them at the table but was sure that I had made enough food to feed 20. All of the plates were licked so clean that I thought about putting them into the cupboard without washing them. Well I think that I will head off to bed. What can be more relaxing than going down to the coast and relaxing by the water. Probably a lot of things considering that the water was not the ocean but a water slide park. Also the 19 kids that came along with me kept it from being a completely relaxing day but I must admit that they were all well behaved. Originally I was only going to take the kids that had gotten good grades in School but since that ruled out nearly half of them I made a compromise. I would pay for the ones that received good grades, the others were on their own. How and where about 10 of them got the money is beyond me but by 10 AM 20 of us were heading down the road in the Kia van. We all had a great time but I admit the kids outlasted me. I didn’t sleep but I did get a chance to sit in a lawn chairs and simply observe the action for better than an hour. 4 PM rolled around far to soon and it was like pulling teeth to gat the kids to stop swimming and get dressed. Well due to the fact that I can not type with my eyes closed I am going to call it a day and head for bed. This morning Fernando and I headed to the wheelchair shop and repaired a power wheelchair that some one had brought in. After doing that and paying a few bills we headed to Hermano Pedro and quickly signed out Manwell and Thomisina from the malnutrition ward. The way that those 2 eat I have little doubt that they will be fattened up and healthy soon. Manwell is very outgoing and even though he has likely never been in a restaurant before he seemed to make himself feel right at home. Having Fernando there really helped as well. Fernando can make friends with other kids faster than anyone that I know. Thomisina who is 2 years older than Manwell was much quieter and did a lot of looking around as though she was scoping out the situation. She did not smile until we had finished eating and I had put her one of the slides. Soon much like her brother she was attempting to climb the ladder on her own. 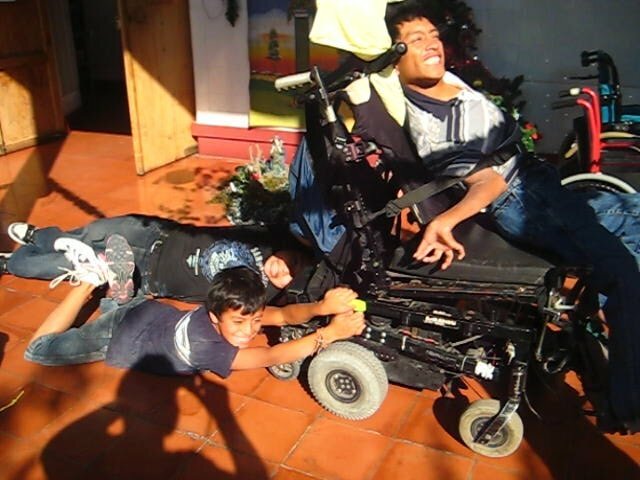 When we got back to Hermano Pedro I did some checking on weather or not these 2 kids have ever been in School. No one is quite sure they promised that they would find out. Some times all it takes is having a teacher work privately with a child for a short time and once a school realizes that the child can learn the school accepts them. After lunch I met with Jessica. She wanted to show me 2 new kids that were just admitted to the malnutrition ward. The first child was a little boy who appeared to be about 4 years old. Knowing what starvation does I figured that he was older than he looked and guessed his age to be around 6. I could hardly believe it when one of the nurses told me that he was 14 years old. He had arrived in very poor health so we decided to wait until he gains more strength before putting him in a wheelchair. The second child that we looked at was a little girl of 5 years old. She was so fragile looking that I was afraid to pick her up. I didn’t even measure her for a wheelchair because right now her main concern is not getting a wheelchair but staying alive. More power chair repairs this afternoon and then we headed for home. On our way home we stopped off at the home of Hullio a teen age boy who was paralyzed in a diving accident. I had been told that he was having some problems with his power wheelchair. Evidently they were not big problems because his mother told us that he had gone some where with his friends. Up until a year ago he was basically confined to his home. Hullio’s power chair has changed his life. The cook took a night off tonight. I simply set some cereal boxes out on the table and told the kids to have at it. The funny thing is some of the kids like cereal better than anything that I make for them. I guess that does not say much for my cooking. Well it is getting late and all of the kids except Calin are gone. Calin managed to fall to sleep before I told the kids that it was time to go so I guess he is staying. Calin and I met Chris, Gordon, and Juan at Camperos at 8 AM. After breakfast we drove to Ronny’s home. Juan is a pastor in Tecpan but he also works as a block layer so that he can feed his family. 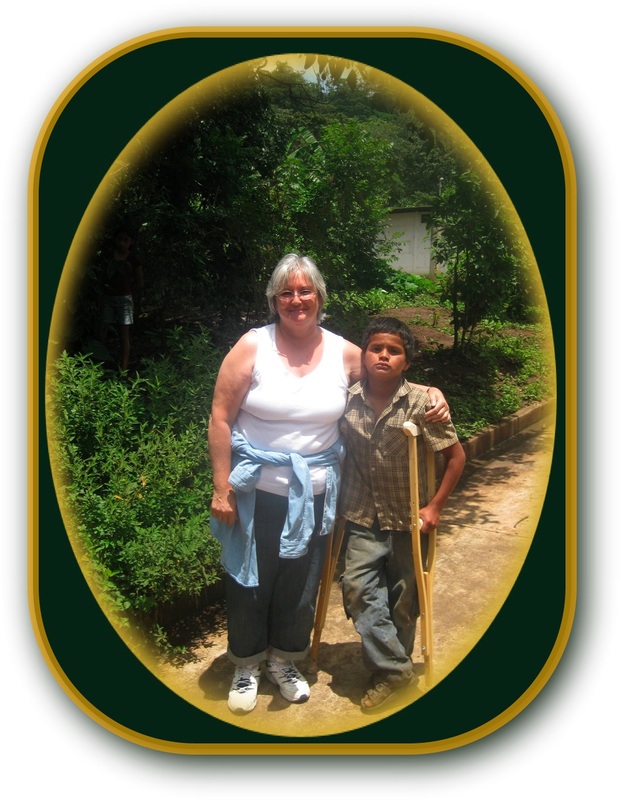 He will soon be laying the foundation for the new home that will be built for Ronny’s family in February. At that time a church group of around 20 people from Washington state will be coming to help with building of the house so we want to have the foundation ready for them so that they can start laying cement block when they get here. Not only have they offered to build the house but they are also paying for all of the material. Needless to say Ronny’s entire family is extremely excited about finally having something more than a one room tin shed to live in. Normally we try to use as many local people as possible to help with the building but Sugar cane harvesting has just started up and the next few months will be the only time that most of the men from this area will have steady employment. Ronny’s father and mother walked with us to the cleared off piece of land where they want the house built. Even though it is higher in elevation than the tin shack that they now call home is we are still planning on having the floor of the house a few feet above the present ground level. I have seen their present house standing in a foot or 2 of water after a heavy rain. We were happy to here that Ronny is planning on coming to camp this year. Since his father will be working and his mother will have to stay with her other 5 children, Ronny’s grandmother has offered to come along to camp with him. Before heading for home we went to a house that Ronny’s mother had taken me to on my last visit. An elderly lady e who was hit by a motor cycle while getting off from the buss a few months agolives ther. She had broken her femur and when I saw her she was in a lot of pain and had no way to get out of bed. 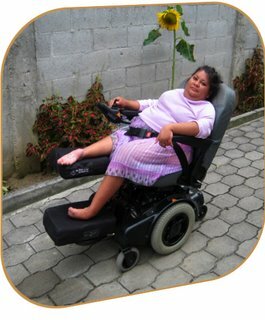 Today we brought her a wheelchair. She is still in a lot of pain and it does not look like her leg is healing properly so we are making arrangements to get her into Hermano Pedro next week. I had noticed Ronny’s mother was crying while she was talking to Juan when we were visiting and on our ride home he shared with us why she was crying. 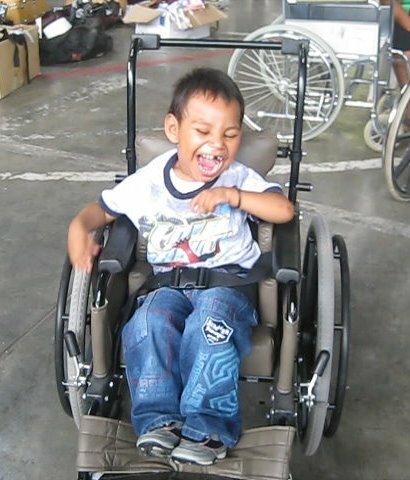 Even though Ronny is very intelligent and doing well in school most of Ronny’s aunts, uncles, and cousins feel that he is worthless just because he is in a wheelchair. Not only do they feel that way about Ronny but they let him and his family know that they feel that way. 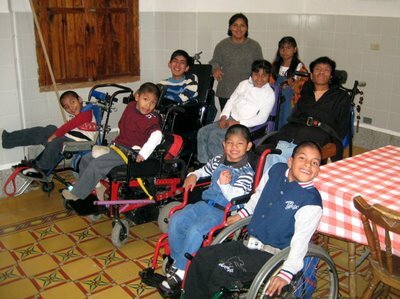 I have seen a lot of improvement during the past few years in the way that Guatemalan people treat people with disabilities, but today I was once again reminded that there is still a long way to go. Tonight was French toast night. French toast ranks right up there with spaghetti so we had a standing room only crowd around my kitchen table. I did not get an accurate head count but all 10 chairs had people in them and several of the kids were standing. Tonight I introduced a new concept that went over with mixed reviews. Actually it has been introduced before but tonight it was reintroduced with a little more forcefulness. It is called passing instead of reaching. Not only that but things were passed in an orderly fashion. Since Calin was yelling the loudest to be first to have any food I made sure that everything started at the person sitting to the left of him and then in a clock wise rotation to the person on there left. Poor Calin was sure that he was going to starve by the time the food got to him but seeing what he had put away for lunch I was confident that he would not starve to death before the food got to him. Actually the system worked out rather well. By the time the food got all the way around the table the person that had been served first had their plate clean and was ready for seconds. It is hard to believe that it has already been another year but Monday Camp starts. Harder yet to believe is that it is Camp # 7. I can remember our first year of camp like it was yesterday. Then again they say that older people can often remember things from the past it is just the present that is a bluer. Anyway tomorrow some of the volunteers from the States will be arriving. I have other commitments tomorrow so Chris is going after the 2 groups that arrive tomorrow. We will all get our turns though because it looks like during the next 3 weeks we will be making 13 scheduled trips to and from the airport. Those are just the scheduled trips. Add to that the unscheduled trips to retrieve lost or delayed luggage and it gets to be a lot of driving. Well it is past midnight so I will once again say goodnight. Or should that be good morning? Fernando’s turn to come along with me today. We first went in to Hermano Pedro but only for a short time. I had to meat with social work to make sure that the teens could still come to camp this coming Monday. It was a good thing that I checked because there had been some mix up but we managed to get things worked out and providing we can get in contact with Carlos’s mom all 7 of the teens from Hermano Pedro will be able to come to camp. While I was there I made an appointment for the lady with the broken femur to see a doctor on Wednesday. Actually an appointment simply means, be there at 6:30 am so that you are one of the first in line when the doors open at 7:00. I plan on picking her up Tuesday afternoon and she will stay In Antigua over night so that see can be at Hermano Pedro first thing in the morning on Wednesday. She will likely be there most of the day getting exams and x-rays. Then hopefully she will be told when to come back and see a specialist that comes with one of the teems from the USA. It is a bit of a process but well worth it compared to what she would get at one of the national hospitals. Even if they did see her it would likely be a year or 2 before they would be able to do something for her if they did anything at all. Before leaving Hermano Pedro I received some good news. They are going to let Sonia attend school next year. This is a big mile stone considering that up until now only 2 older teen age boys have ever been allowed to go out to school from Hermano Pedro. 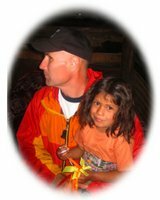 We still have to work out a few details like finding some one who can take her to and from school each day but since it is only 5 blocks away I don’t think that we will have much of a problem finding someone who will push her there, especially if we are willing to pay them some thing. This afternoon Chris went to pick up a group of camp volunteers from the airport while Gordon and I went to see how the bathroom for Maria turned out. Other than a few leeks that will soon be taken care of everything looks good. 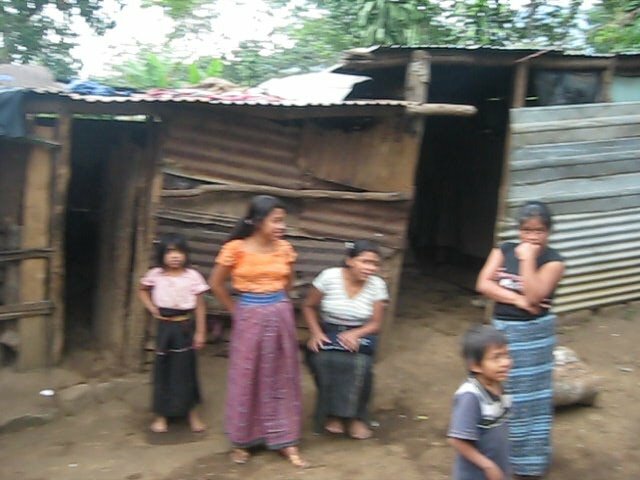 We had intended on talking with the family about putting cement in 2 of their 3 small homes but after talking with grandmother we could tell that her bigger concern was the 3rd home which was falling down around Maria who still slept there. It is made of mud brick and has the type of tile roof that killed so many Guatemalan people in the earthquake of 1976. Considering the shape that the house is in I am surprised that even some of the earthquakes that we have experienced in the last few years have not collapsed the house. I phoned Chris and he confirmed what I had thought. All 6 houses that had come in with our last container of wheelchairs were already spoken for. 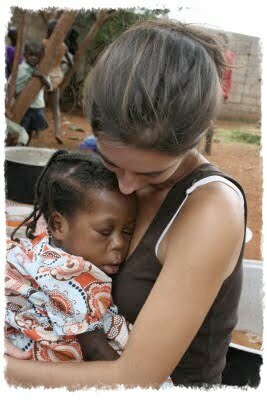 They had been given out to people that had even bigger needs than Maria and her family. Some of these families lived in homes that were nothing more than a few polls with some plastic stretched around them. Chris told me though that hopefully we would be betting more homes in 6 to 12 months and that he would be willing to put her on a list for one of these homes. Even knowing that it would not be a sure thing Grandmother told me that she would wait. I wish so that we could instantly meet the needs of everyone that we come into contact with but praise God that we can reach out to as many people as we do. This evening I went out to eat with the 3 volunteers that Chris picked up this afternoon. Right now Chris is on his way back to the airport to pick up 3 more people that are coming in tonight. At 5 AM I head to the airport to get someone else. That reminds me. It is time for bed. At 5 am Abner, Calin, and I headed to the airport to pick up Hank Hampstra. Hank has come from Canada to volunteer at camp for 2 weeks. Had I only known that his plane was going to be 2 hours late I could have slept in. At least he got here safely. This after noon I took Hank and some of the volunteers that arrived yesterday in to Hermano Pedro to meet some of the kids that will be coming to camp. They had a great time visiting with them and others who will not get to come this year. Jennifer is doing quite well and the nurses are doing a good job of not letting her lye in one position for more than a few hours. I took a better look at the new 5 year old girl that came in a few days ago. She seems to be doing a bit better but still has a long way to go before I even dare to work with her. Much like Jennifer her head is also bent backwards and nearly touches her back at times. If she lives I will try to build her something that will hold her in a more relaxed position as well. The 14 year old boy who was admitted to malnutrition a few days ago is not looking well at all. He is in isolation so I only spent a short time with him. Please remember these children in your prayers. The group of volunteers went out to eat this evening but I went home and took an hour and a half nap. I had to be back at the airport to pick up 3 more people at 9 pm. My nap was interrupted by 3 phone calls but I was to sleepy to even remember who I talked to or what I said. All I know is when I went to open the gate so that I could head off to the airport 3 kids were standing there waiting for me. All 3 claimed that they had talked to me on the phone and I had individually promised each one of them that they could ride along with me to the airport. I wasn’t to sure weather or not this was some type of conspiracy but having remembered answering the phone 3 times I felt that their stories had enough merit that I had to believe them, so I let them come along. As we approached a McDonalds while coming into Guatemala City the 3 of them tried to convince me that I had also promised that we would stop off there for some food. I had some serious doubts about this especially since I heard a lot of whispering going on just before they told me this, but since I was getting hungry and McDonalds is cheep we stopped off for a bite to eat. All 3 ladies arrived on time so we were out of the airport by 10. Had it not been for the fact that the gate to the bible school where the ladies are staying was locked and I had not taken the right key along I may have gotten back home and to bed before midnight. Fortunately Pastor Bill, who was staying at the bible school with the other volunteers, has a cell phone. Unfortunately Pastor Bill, who was staying at the bible school with the other volunteers, is almost as hard of hearing as I am. Fortunately as hard of hearing as I am I can still hear my cell phone ring, even when I am asleep. As I previously mentioned I don’t remember what anyone who wakes me up tells me but at least I can hear it ring. Unfortunately pastor Bill wears ear plugs when he sleeps and they make him even deafer than I am. 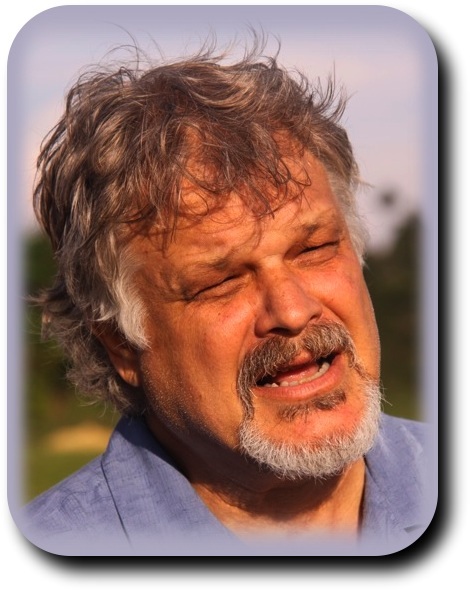 After 3 attempts of phoning Pastor bill it was time for plan B. Fortunately I had given Hank a spare cell phone to use while he is hear, and fortunately he is not deaf. Unfortunately as keen as Hank’s hearing is he is still not able to hear a cell phone that is shut off. The 3 ladies that were with us were good sports but when I told them that they could sleep on my floor with the 3 boys I could see that they preferred something a bit softer. Calin offered to clime over the 10 foot wall that surrounded the bible school. Now back 4 years ago when Calin made a living by climbing other people’s walls he could have scaled this one in 5 seconds. Unfortunately Calin has gained about 100 pounds since then and even claming up on a chair to eat dinner is beginning to be a challenge for him. Abner and Fernando have never been thieves but they have been known to scale a few walls when a misguided soccer ball has gone astray so with very little effort they got inside. 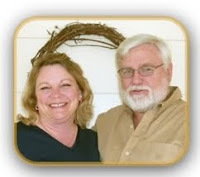 They later told me that they pounded on the door of pastor bills room for quite some time. They never did wake him up but managed to wake up enough other people that they finally found someone who had a key to the gate. It was nearly 1 am when I crawled into bed. That is why today’s journal is actually being written tomorrow. ?????? I took 4 kids along to church with me this morning and then rushed back to Chemaltenango to pick up a van load of volunteers and head straight back to Antigua. Chris, Danna, and their family also came along. We went to an Italian restaurant that serves really good food. I don’t know what it is about this restaurant and me though. It seems that every time we go there something happens to me. Once I got really sick after eating the food. The next time we went there I accidentaly drug my napkin through the spaghettis sauce and changed the color of my shirt from white to blood red. Today though I do have to admit the food was good and I didn’t wipe out a shirt. I got a bit of indigestion though. I think it was from gobbling down my food. I would not have eaten so fast had it not been for the fact that everyone had finished eating before I was served. I guess that I shouldn’t have made that comment about eating at McDonalds next time if anything went wrong. How was I to Know that the waiter understood English? Some of the group went shopping after lunch. 4 of us went to the orphanage. After an hour those that had come along with me to the orphanage also went shopping. I stayed at the orphanage until it was time to pick up the group. Tomorrow camp starts so the journals may get a bit shorter for a while.